And JRO, I know the post is old, but I think comic books definitely count. Picked up my weekly batch today. Superman Unchained, Robocop Last Stand, and Judge Dredd Classics. I can top that. Images of Organization by Gareth Morgan, LOL. Yep, thats what I'm reading and rocking out to. You a CIS major? I couldn't imagine anyone not in Barker's class actually reading that book. I've read it, and it is informative, but if you're a developer/programmer, Pragmatic Programmer is the way to go. I was listening to the audio book of American Sniper. Haven't read that, but if you like it try One Shot One Kill. 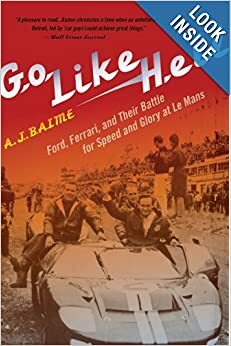 Currently reading Go Like Hell, which so far is a damn good read full of history. We going in, You fucks ready to learn that Im not the same little kid anymore and if it results in violence then so be it but Imma warn you now I will pop off. Since I last posted, I finished Men At Arms and decided to pick up The Long Walk by Stephen King (published under the pseudonym Richard Bachman). I saw a thread on Reddit asking for book similar to The Hunger Games, but a bit more dark. While I haven't read any of the Hunger Games books, I loved both movies so far, so I decided to pick this book up. I'm about 1/4 of the way through and absolutely LOVING it so far. I enjoy reading. Recently I read a lot of modern prose. I love to find lists of books that are related to common ideas. For example, here https://booksrun.com/blog/book-ideas...3-reasons-why/ I found a list of books that will appeal to all fans of the series. 13 reasons why. I especially liked the book Where the Truth Lies by Jessica Warman. It turns out that they gave it to me for this new year, but I wasn't interested in reading it until I found an interesting description. 502StreetScene > 502 Community & Interest > Area 51 > Entertainment » What are you reading?